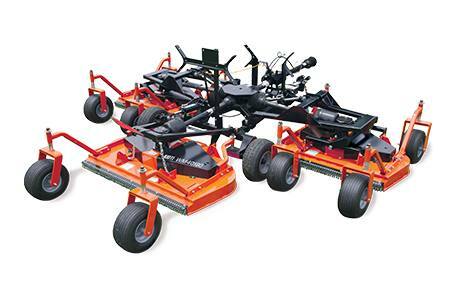 The new KIOTI Flexwing Finish Mowers offer a cutting width of up to 17 feet, making them perfect for working in the field. Overall: 206 in. ; Transport: 114 in. Maximum Overall: 183 in. ; Transport: 161 in.